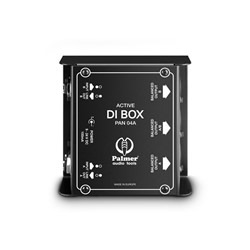 The dbx dB12 Active DI Box features bullet-proof construction, and extraordinary audio performance. The dbx dB12 utilizes custom dbx mu-metal-shielded audio transformers, high-quality Neutrik connectors, and low-noise circuitry that preserves the sonic integrity and true characteristics of the signal source. 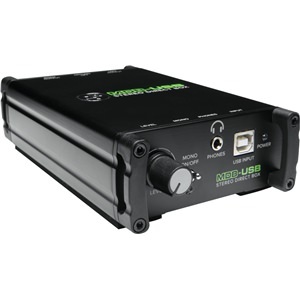 The dbx dB12 includes a pad switch that accomodates instrument, line and even speaker level signals. 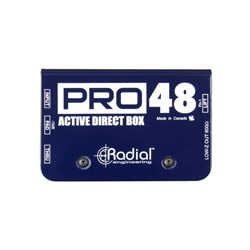 Take even more control of your sound by utilizing the polarity invert switch to set the phase relationship between the direct and mic'd sound. 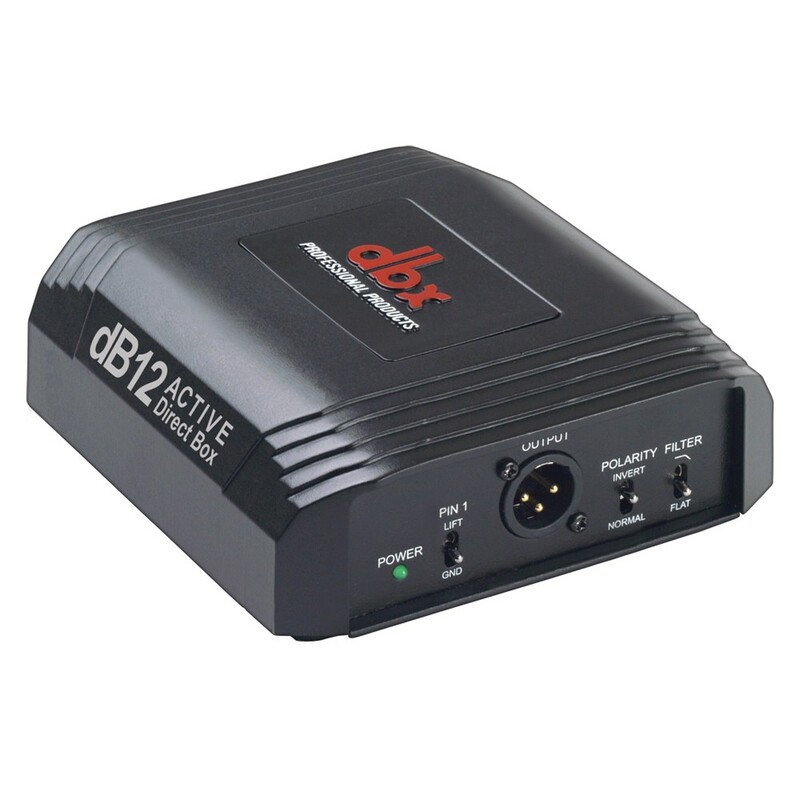 The dbx dB12 comes with a ground lift switch to solve potential hum and buzz problems due to ground loops. And between the combined shielding of the cast metal chassis and the custom-wound transformer, you can be doubly assured of a clean signal free from interference. All of this sits atop a solid, stable footprint, that will keep the dbx dB12 from being dragged around the stage, and the unique contoured underside allows secure stacking of multiple units.